Engine overload operation for a long time, will increase its fuel consumption, heat load increases, resulting in high water temperature phenomenon. To this end, the engine should be avoided for a long time overload operation. Engine cooling system if the lack of coolant, it will affect the engine cooling effect, resulting in engine high temperature. In this regard, should always check the radiator and expansion tank coolant stock, low level should be added in time. If the hydraulic oil radiator and water radiator placed one after the other, when the hydraulic oil temperature is high, it is bound to cause water radiator into the air side of the cold air temperature is high, affecting the water radiator heat. In this regard, should repair the hydraulic system heat dissipation, reduce the hydraulic oil radiator engine radiator heat dissipation adverse effects. Fan belt too loose, likely to cause fan speed lower, resulting in radiator can not play due to heat capacity, resulting in engine temperature is too high. In addition, the fan will also lead to heat dissipation of the radiator can not give full play. In this regard, should regularly check the engine fan belt is loose and the fan shape is abnormal. Radiator surface attached to the debris will not only reduce the radiator cooling area, while the radiator will reduce the windward area, resulting in lower heat sink cooling capacity, causing the engine heat. Radiator surface attached to the debris is the most common phenomenon, the structure of the radiator with the characteristics of its clean-up process of attention to matters. As the radiator is not easy to dismantle the whole, therefore, only the relevant parts for demolition. After removing the air filter, you should first use the brush and other tools to remove large debris, and then use high-pressure water or gas washing dust, water or air pressure is recommended to maintain 1MPa or more. To facilitate the cleaning of the core of the radiator should be removed and the wind shield cover fan and other parts. Rinse the radiator, the nozzle should be as far as possible with the radiator plane perpendicular to the nozzle with the radiator to maintain 10 ~ 30mm distance, the nozzle pressure to be adjusted according to the thickness of the radiator core. If conditions permit, with high-pressure water can be cleaned after re-use compressed air once, the same method as above. If the conditions can only be compressed air, the radiator should be wet with water, and then directly with compressed air clean-up, the gas pressure should be 2.5MPa or more. Cleaning is completed, the installation of complex parts removed, that is, to complete the cleaning work. Thermostat opening is insufficient, will reduce the cooling capacity of the engine cooling system. If the engine temperature, the thermostat can be put into the water for heating inspection, the general thermostat opening distance of 8 ~ 10mm. Pump performance is poor, it will cause lower cooling fluid flow, resulting in high temperature diesel engine. In this regard, should check the radiator on the water chamber. Upper and lower water chamber temperature is generally 6 ~ 12 ℃, if small, can replace the pump. Excessive scale will also affect the efficiency of the radiator fin cooling and reduce the thermal conductivity of coolant and cold air. In this regard, should be regularly cleaned diesel engine cooling system, while avoiding the use of poor quality cooling fluid to reduce the formation of scale. Injection timing is not allowed or too much fuel injection can cause diesel engine heat load changes, increase the cooling system cooling burden, causing the diesel engine heat. In this regard, you can check the fuel injection timing or fuel injection pump, if any problem, need to re-adjust the fuel injection timing or re-school pump. 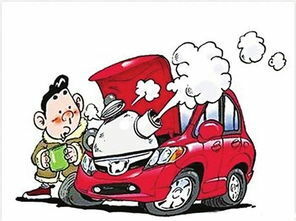 In the normal cooling system, the engine is still overheating, you should consider the reasons for use. In short, the engine overheating for many reasons, according to the specific circumstances of the flexible use of the above methods to check excluded!